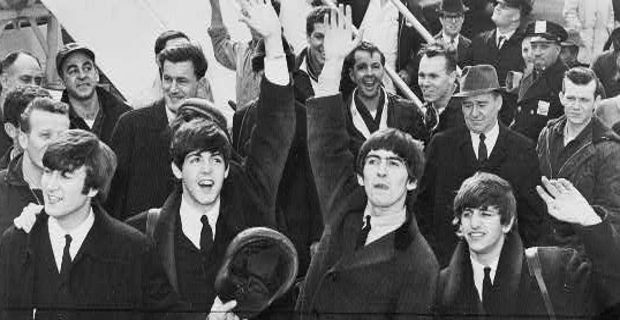 Barely a week goes by without another cache of previously unseen Beatles photos emerging. It seems that the Scouse moptops could barely step outside their house in the early 60s without some inquisitive adolescent capturing everything in grainy black and white. The latest discovery is a series of snaps taken at one of The Beatles’ early gigs in Croydon in April 1963. Aspiring photographer Andy Wright was just 15 at the time and took the shots during and after the show. As happens suspiciously frequently in these cases, Wright then stashed the pictures in his attic and forgot about them for the best part of 50 years until he suddenly remembered them, or suddenly realised they might be valuable. "I met up with an old friend and he said he worked with the Fairfield Halls," Wright told his local paper the Croydon Guardian. "I said I took photographs of the Beatles there, and he couldn’t believe it and told me about their anniversary archive. You know how it is, you just have boxes of rubbish in the attic so I was delighted I still had them. I only had 12 pictures on my roll of film. The picture of all four of them backstage, potentially the most financially lucrative, was taken with the last shot I had." Wright failed to come up with any stories of rock 'n' roll excess backstage at the Beatles show. His memories were a little more prosaic: "I went home on the bus, developed the pictures and proudly took them into the school the next day. I still have the Rollei camera I took those pictures with."